You should place furniture in areas where no direct sunlight, preferably in the shade and awnings. When it gets too sunny or too cold, you should cover them with a layer of fabric. Furniture should be cleaned regularly. Simple kits to preserve outdoor furniture including a soft towel, wash water (can use water diluted dishwashing family), coarse sand paper # 320, plastic gloves, paint brushes and essential oil storage timber used exclusively. - First, you clean the dirt on the product by washing with water; you can use diluted washing water to clean the stubborn stains. - Then you wash it with water to the stain and wash water away. After cleaning, dry your furniture and let it dry for 24 hours, if desired, move the furniture to where have the sunlight. Thus, water from the surface of the wood will evaporate quickly. - When wood is dry, use sandpaper # 320 grain size (fine sand paper) to smooth the surface of wood products, just scrub lightly to flatten the surface. After finished flat, clean wood dust on products by towel. 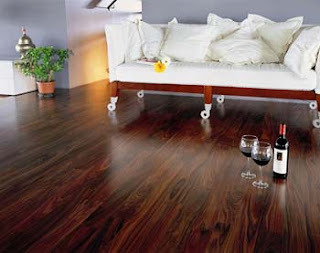 - You can use a paint brush or soft cloth to paint the surface of the product by wood preservative oils. When finished, clean the excess oil streaks on the surface with a towel and put product in a dry place, avoid rain water and the wood preservative oils is dry. Time to dry about 24 hours. So, do not use this product in time. - You can repeat a similar way after a period of 24h to add a layer of wood preservative oil on the surface of products (maximum is 2-3 layers). So your product is better protected. - You can use wood products after 24 hours since coating the last wood preservative oil.